Are you interested in finding out what niche marketing techniques other people use successfully? Have you ever wondered how to do niche marketing research to find out exactly what people are buying? Are you ready to uncover the niche marketing strategies you can use to leap to the next level? 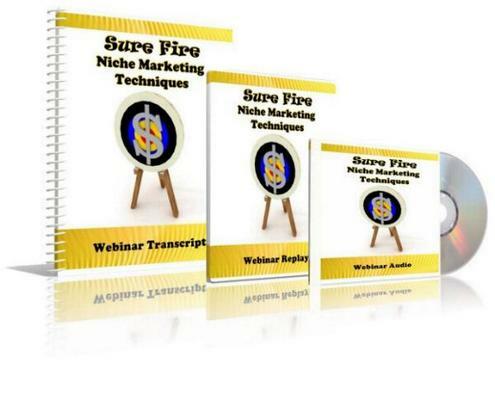 Don't Miss Out On The Opportunity To Grab Your Copy of the Sure Fire Niche Marketing Techniques Webinar Recording for ONLY $17! PLEASE NOTE: When you purchase this product, it is for your PERSONAL USE ONLY, it does NOT come with any type of resale rights.